Just days after Kaz Hirai teased the world with talk of Sony's future in smartphones, tablets, and the PlayStation brand (all without confirming or denying the existence of a PlayStation phone), Chinese site IT168 has posted an in-depth review of the engineering version that they managed to get ahold of. Not only is the PSP Phone very real; from the looks of it, the device is almost ready for prime time. 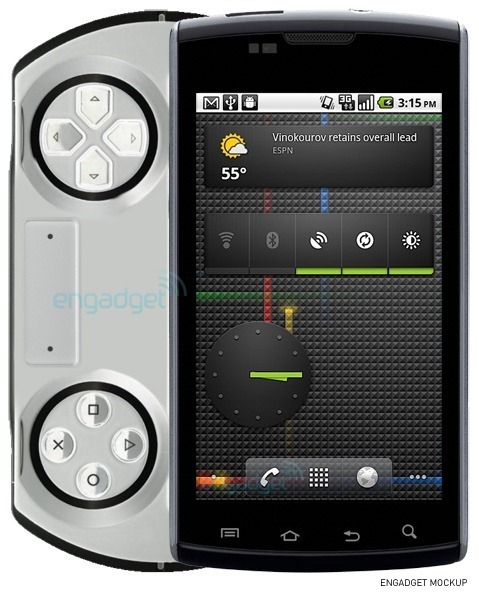 Earlier today, Engadget broke an exclusive regarding Sony-Ericsson’s work on an Android gaming handset that is currently “in the late stages of planning.” There have been rumblings of a PlayStation phone for quite some time, and it seems like this device may be Sony finally delivering on those long-standing rumors. Engadget has speculated the device and the new Android Market Game “ecosystem” could be available as early as October.